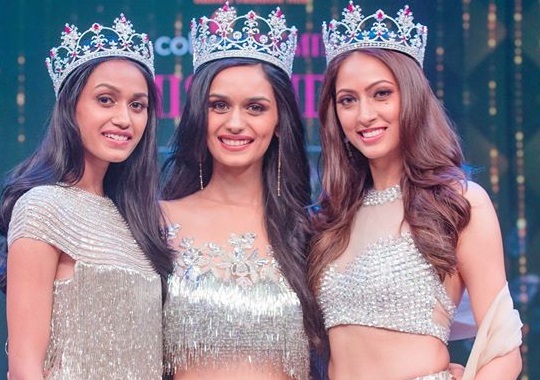 Manushi Chhillar from Haryana is the Winner of 54th Femina Miss India 2017.The first runner-up is Sana Dua from Jammu and Kashmir and the second runner-up is Priyanka Kumari from Bihar. This annual national beauty pageant is organized by The Times Group magazine Femina. Miss India 2017 was judged by Miss World 2016 Stephanie Del Valle, along with Bollywood stars like Arjun Rampal, Bipasha Basu, fashion designer Manish Malhotra, Abhishek Kapoor, Vidyut Jammwal, Ileana D’Cruz, among others. The 30 participants were mentored by Neha Dhupia, Waluscha De Sousa, Dipannita Sharma and Parvathy Omanakuttan. Miss India 2017 winner gets the chance to represent India in Miss Universe while the first runner of the competition competes for Miss World and second runner up gets the chance to represent India in International or Asia Pacific titles. The finale will be telecast on the TV channel Colors on July 9 from 1 pm. 54th edition of Femina Miss India beauty pageant 2017 : Details. Neha Dhupia, Waluscha De Sousa, Dipannita Sharma and Parvathy Omanakuttan.